Perfect for groups too big for public transportation and rideshare apps, the 25-passenger minibus is one of the largest minibus available. It may be compact, but it leaves plenty of space for your group, making it an ideal selection for excursions in the city. 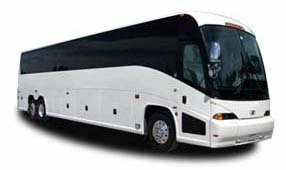 Boston Charter Bus Company is here to help you plan the most efficient, reliable group transportation, whether it’s for a corporate event, wedding, sporting event, school event, or any other occasion. We’re available to assist you 24/7 at 617-314-7577.